^ Michael Dougherty posted a logo-free version of that photo on Twitter. I wholeheartedly approve of my new desktop background. It's a cool shot! Buuut is anyone else thinking that it kind of highlights his beer gut? Godzilla needs to hit the gym. Last edited by msweets13 on Thu Jul 12, 2018 7:31 pm, edited 1 time in total. ^ That's his chest that's protruding there. We know what this Godzilla looks like for 4 years now. I don't think we'll get any more fat complaints. Besides, fat is the new norm for Goji. 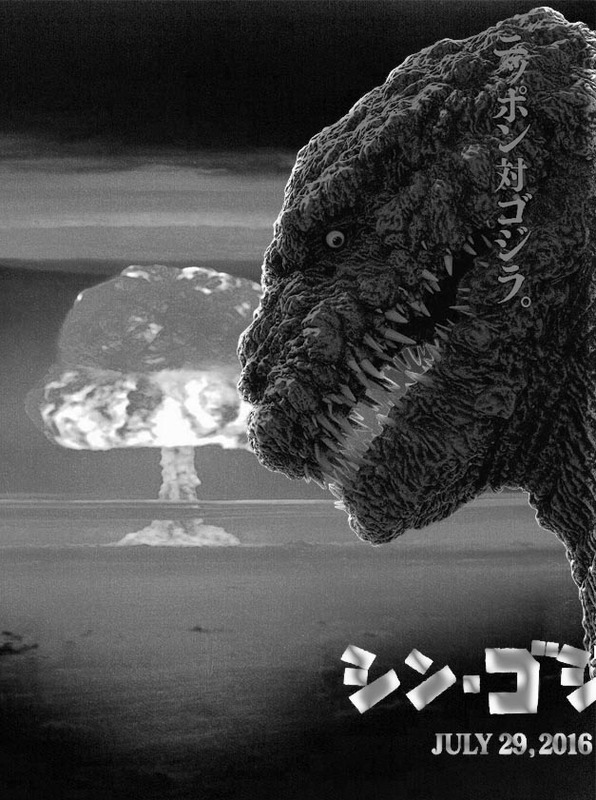 The anime Godzilla looks very similar to this one. Notice: dorsal fins are larger and more traditionally shaped (irregular spikes like '54) and the chest looks a bit more prominent - maybe a slight tweak on the overall body shape... oh, and is that a spiral beam? Oh, and that's a submarine? I love submarines in kaiju films! Image is whatever, but the brief plot description matches the test audience review leak from a month or so back. So if you wanna know everything that happens just do a little digging. Good thing I didn't read it then. The blue lights on the spins also look different. I decided this is what we'll fight about this time. I'm also gonna steer clear of plot synopsis and the like. I'll see if I can avoid the final trailer and TV spots as well, I've noticed they tend to spoil everything (Skull Island was the straw that broke the camel's back for me in that regard). Pic is neat. I do like that the spines look bigger. Good idea of the tweaks Dougherty said he was going to make. Looks good. Also not going bananas over here though, as this is just like, a fluff piece for people who didn't even know the movie was happening. We all knew it was, so it's mostly just "pretty cool" to just get a quick glimpse. Hopefully this is a sign that there will be something shown at SDCC. Drum up some awareness/interest with this article, then hit us with a trailer or some footage. I read the yahoo link to that story. For some reason they posted a picture of the 1993 Fire Rodan Bandai Vinyl toy. The comments continue to contribute in my lack of faith inhumanity. I think my favorite comment was, in response to someone saying they hope that *shot* was not from the new film, calling him an imbecile because "it's obviously a photo from the old movies" When people cant tell the difference between a toy and CG...that's pretty bad. Didn't that plot synopsis get pretty roundly criticized? From what I read of it (not whole thing), it wasn't good at all. Also mention in that interview of 'another organisation', no doubt the same one that was hinted at in some of those Ghidorah/Mothra/Rodan tweets from a while back. I like the slight alteration to the spines in that pic. That was definitely something I was hoping they might tweak a bit this time round. I still kinda wish he'd shed a few more of those 2014 pounds, but I guess the position he's standing in might be making his chest stand out more prominently than it will in most poses we'll be seeing him in. Well that's cool. Glad to see the updated spines. I wonder if they'll address it in the movie (he's actively mutating?) or if they'll choose to not draw attention to the updated aspects of the design. Another thing I've only just noticed is that his atomic breath looks "thicker" than in the previous film, filling up his entire mouth like it does in (the vast majority of) the classic films, as opposed to G14 where the beam was a lot "thinner" and was made clear it was coming from his throat and staying at a consistent size from there. And since I felt like that made his breath come off as looking a little weak in that one, that's also a change I'm happy to see. ^^^ You can see the outline of his teeth behind his atomic breath so it is semi-transparent. I approve of that. Take this with a huge grain of salt. 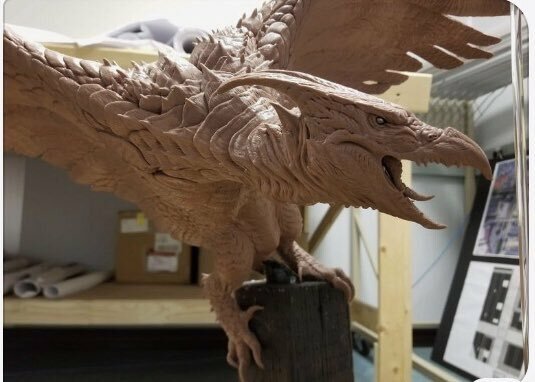 This is supposedly the Rodan maquette and I dig it. Like a hybrid between a pterosaur and a vulture. ^ Awesome if true! 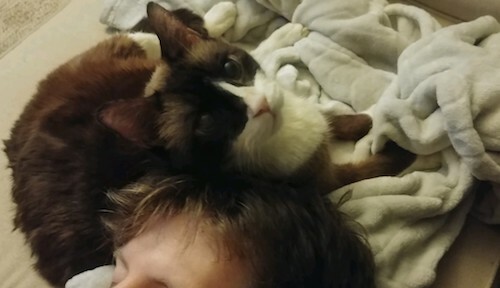 Love the head. hopefully, we will find out who the heck is doing the soundtrack. Henry88 wrote: hopefully, we will find out who the heck is doing the soundtrack. Just include the Ifukube themes for the monsters. i would not mind that just let them overpower everything else. I don't need Ifukube themes (nor any recycled themes), but I'd appreciate some strong, memorable musical cues. Shin Godzilla delivered those in spades, whereas G2014 had only a couple. I blame modern Hollywood orthodoxy for that: I don't know if it's changing now, but it wasn't long ago when composers were being directed to make their music "invisible" so as not to take viewers of the experience. With any luck, Dougherty (and/or others on the production team) will resist that urge and go for broke. Awesome spectacles demand awesome music.